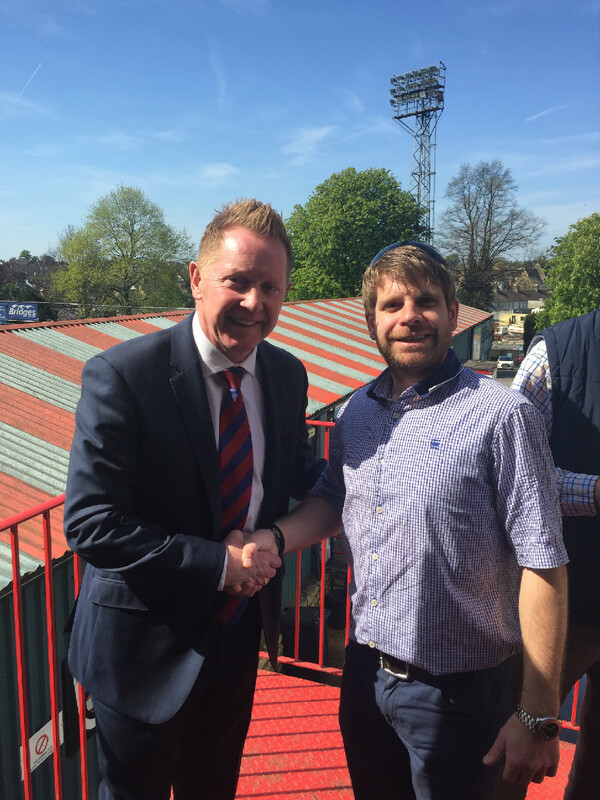 Ben Reade and Adam Grist were proud to represent Reade Signs at Aldershot Town FC’s press conference on Thursday 6th May for the announcement of the new First Team Manager, Gary Waddock. Reade Signs are in their 8thyear of patronage at Aldershot Town FC and are proud sponsors of the South Stand at the EBB stadium. Reade Signs look forward to continued sponsorship at Aldershot Town FC having confirmed a new multi-year deal and share the club’s excitement for the future under the new management of Gary Waddock.